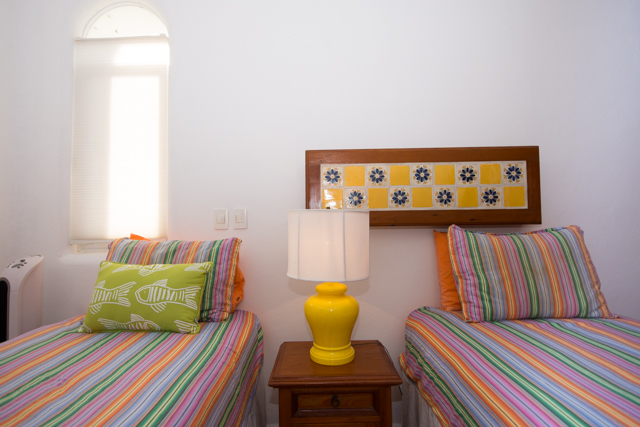 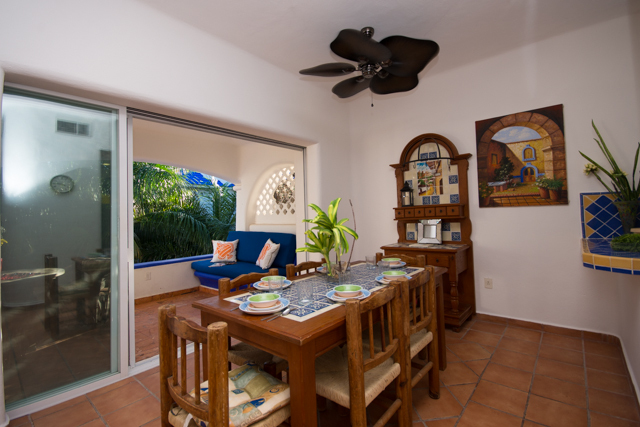 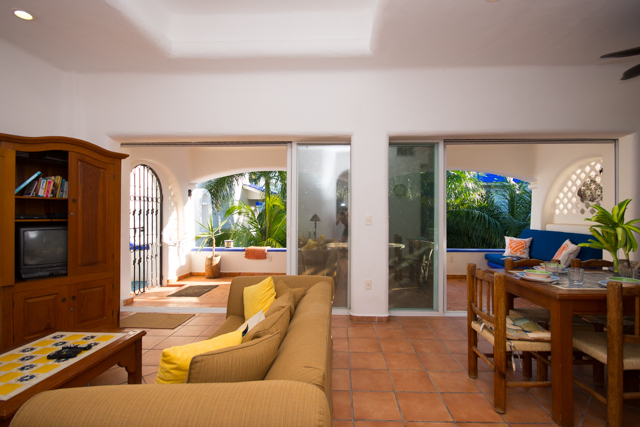 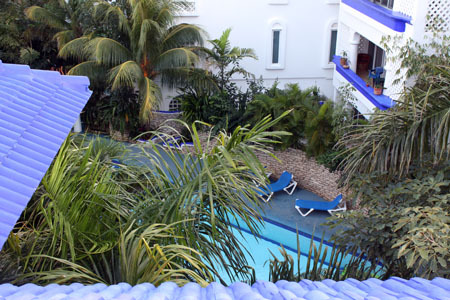 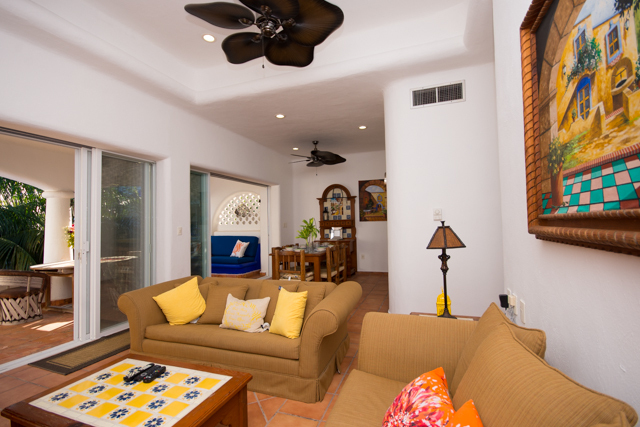 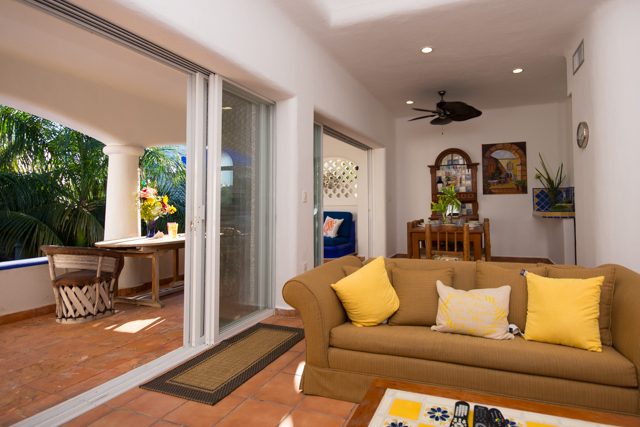 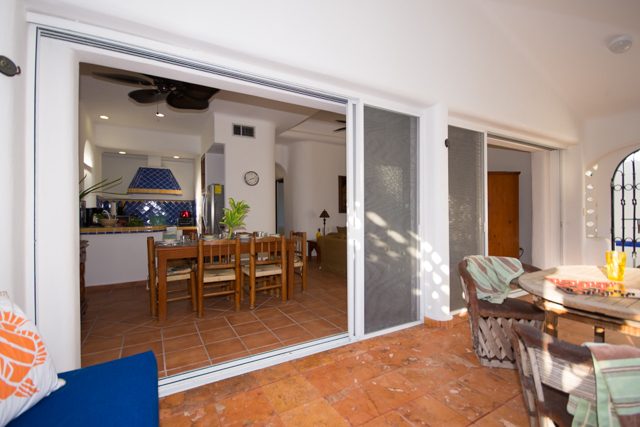 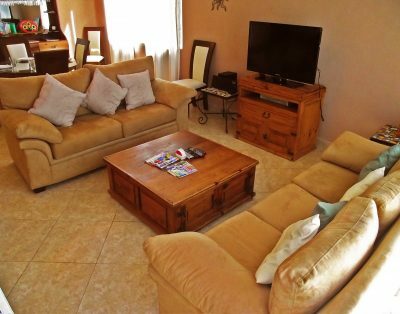 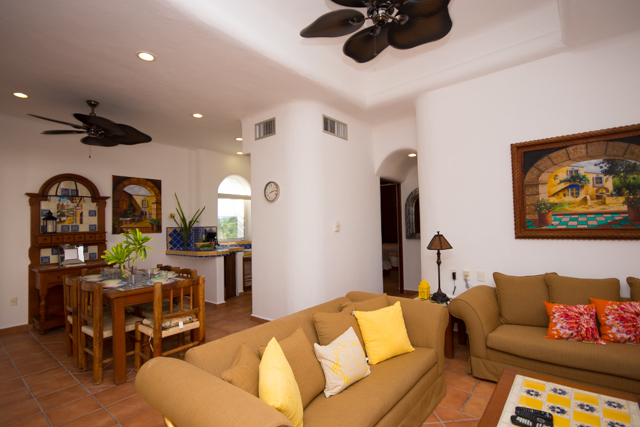 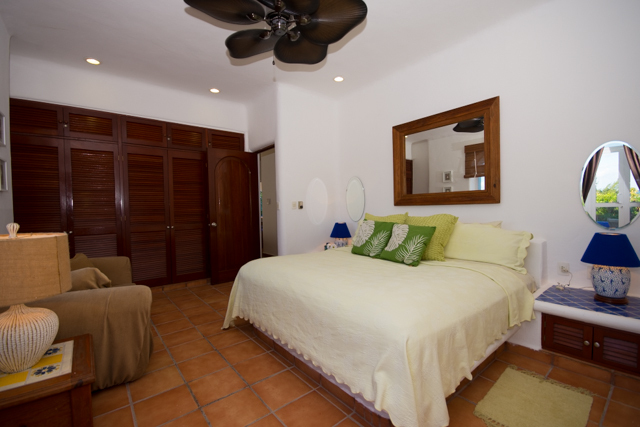 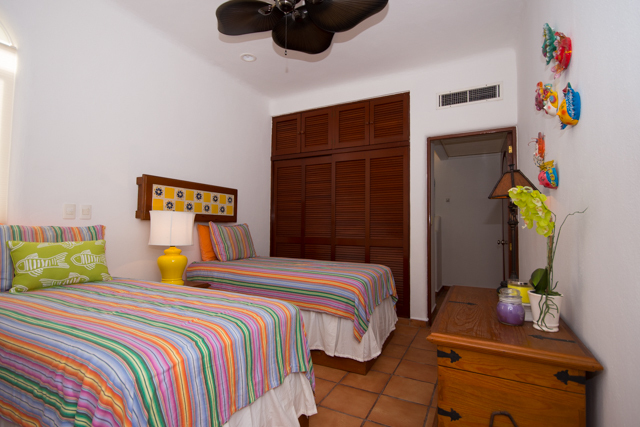 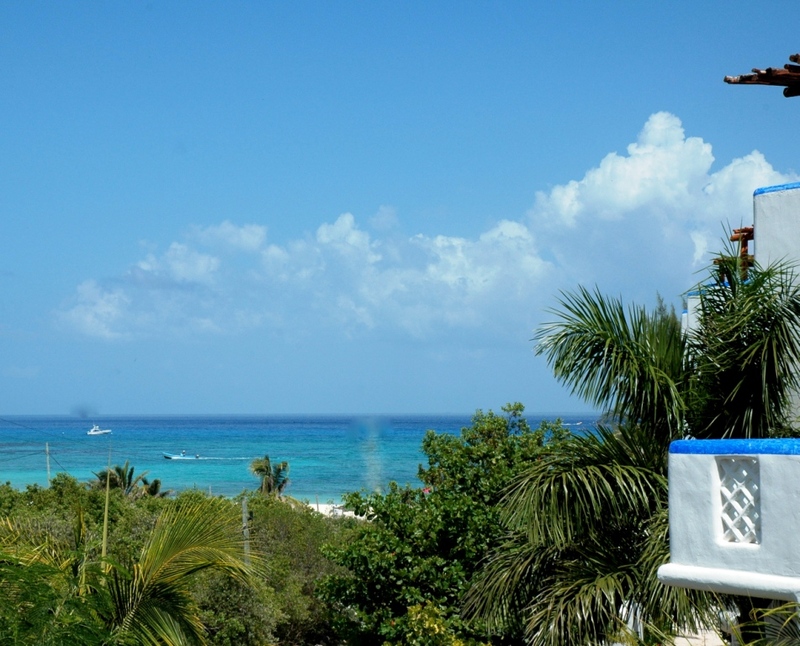 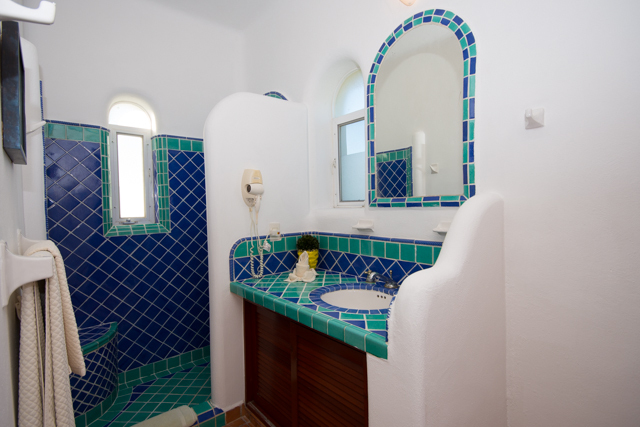 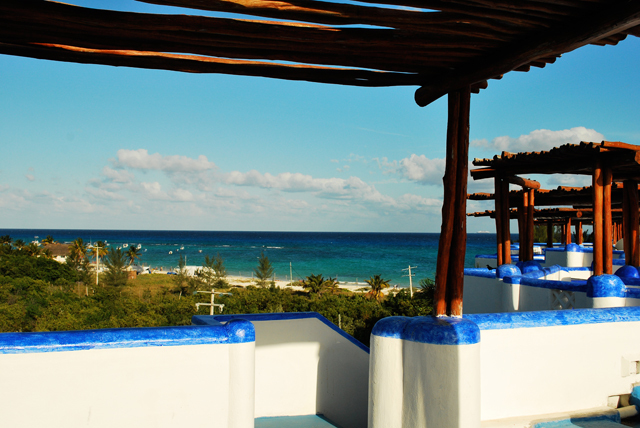 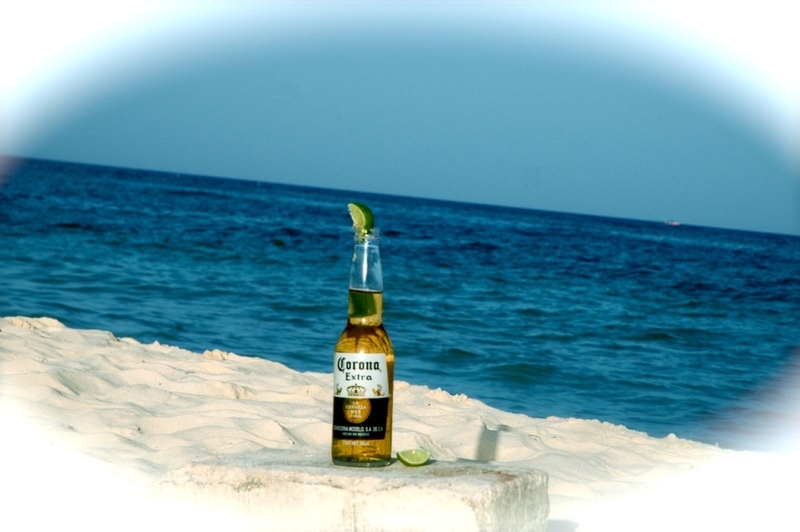 The condominium has two bedrooms, two full baths, big covered terrace, dining-living room and equipped kitchen. 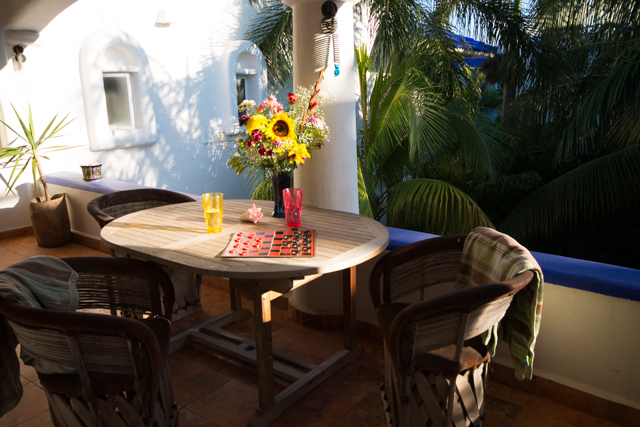 The dining area, as well as the living room, opens up to the terrace. 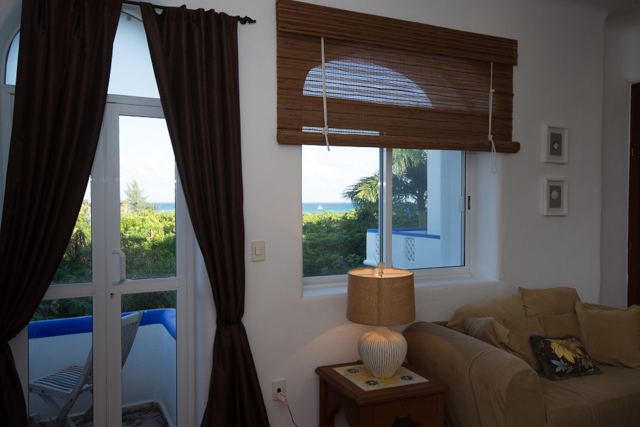 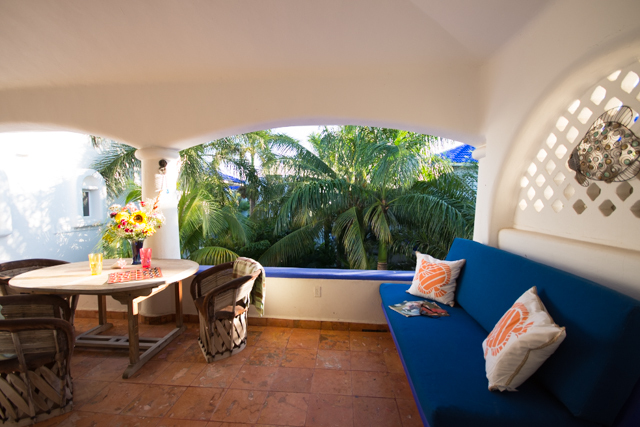 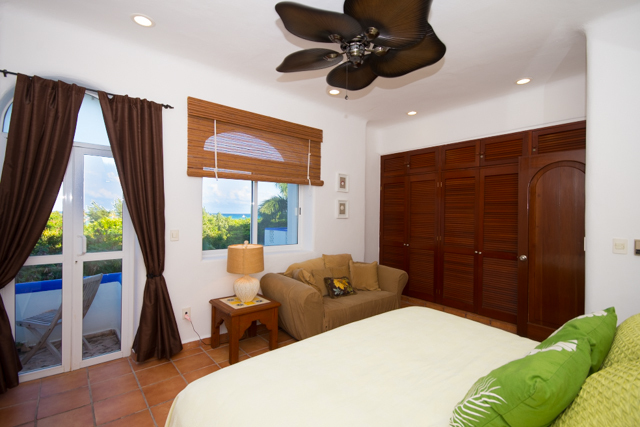 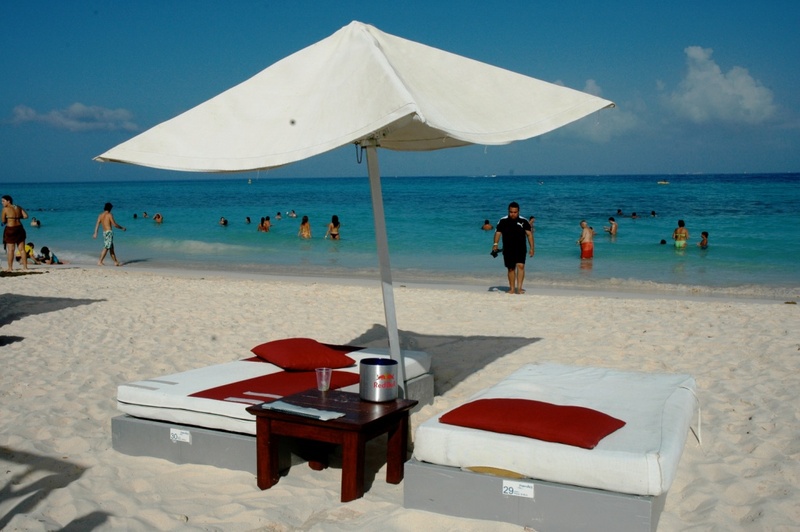 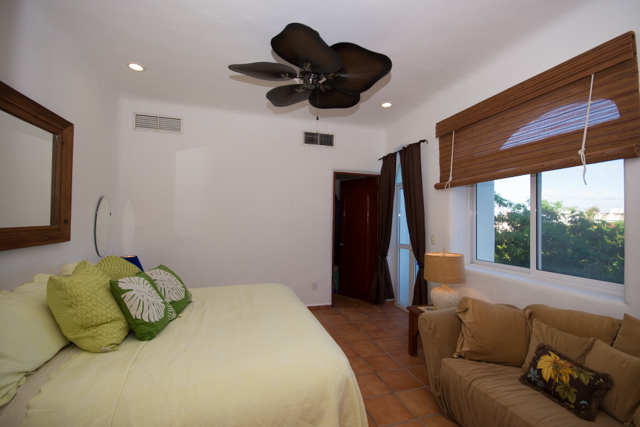 The master bedroom has a king sized bed and a small terrace that overlooks Coco beach. 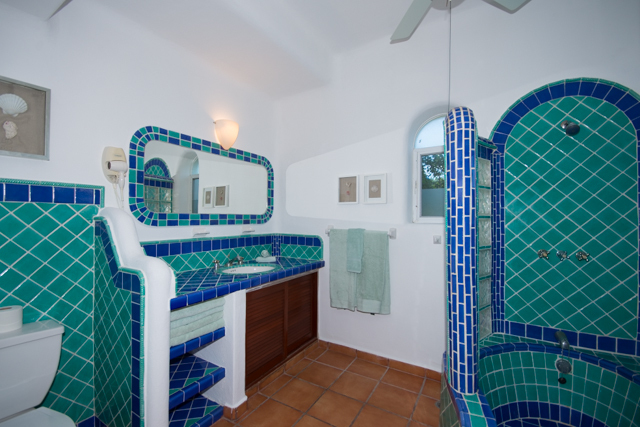 The master bedroom private bath has an oversize tiled bathtub. 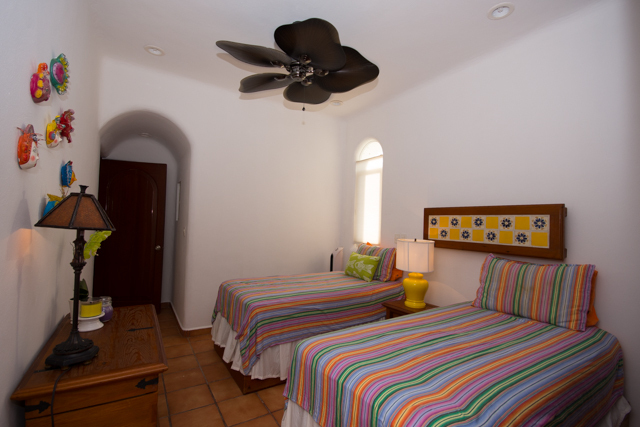 The guest bedroom has two twin beds. 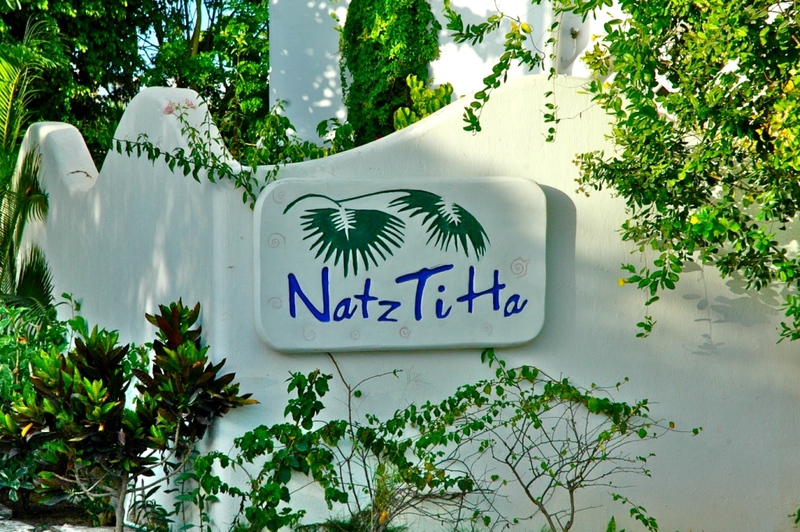 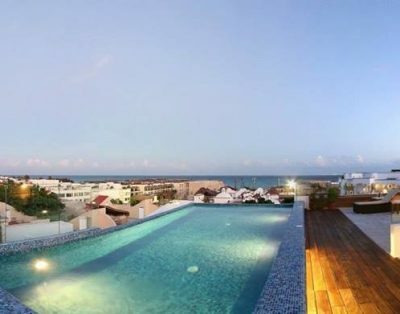 The condominium building has a swimming pool, garden and a roof top with seating areas and can be used by Natz Ti Ha guests.